Sari did an incredible job of listing and selling our home in an expedited time frame. We had a couple of very real challenges to deal with in selling the house and she expertly handled each one with grace and humor. Sari has a unique and in-depth knowledge of the real estate market in Orange County. Even in a downturned market she really helped us make our house stand out from the crowd, found multiple legitimate buyers and followed through on every detail from staging to closing. Her recommendations on how to stage the house were not only realistic for our time frame and renovation budget, but fit with expectations that buyers have. Kudos to Sari and her team!! Sari is the second realtor we listed our home with. Sari's recommendations on how to prepare our home for sale made a big difference. Sari and her team added decorative touches in the house to improve it's marketability. Sari is a true professional and has outstanding knowledge of the market place and what it takes to sell your home. Sari is professional, very knowledgeable, and I could not ask for a more responsive and dedicated realtor. She worked with me to purchase a home that had fallen out of escrow twice with difficult circumstances for the sellers. She is creative, positive, thoughtful, and has excellent people skills. I will be listing my current home for sale shortly with Sari, and am confident this will be another positive experience. I have worked with Sari on a few real estate transactions over the past 5 years. She has helped in finding and placing reliable renter for my vacant property. And she recently sold a property for me at asking price, with a backup offer. She was able to receive the winning offer on the 2nd day the house was on the market. She understands escrow and lending, with is very helpful for a smooth buying or selling process. I am currently working with her to find a few places in the Southern O.C. area. I highly recommend SariWard, she exceeded my expectations. Bought a Single Family home in 2018 for approximately $825K in Laguna Niguel, CA. Sari helped us get a great home in Laguna Niguel and has also helped out two close friends of mine as well. She is very knowledgeable and professional and we would highly recommend her to anyone. Sold a Condo home in 2018 for approximately $700K in Aliso Viejo, CA. Sari and her team are the best you will find anywhere! Experienced, highly capable professionals who know how to sell houses and get results. Sari patiently listened to our goals and wishes, and then perfectly executed every detail to satisfy our exacting standards. She offers white glove service with a friendly smile. Our sweet little home was dressed up and given the same regard as an estate worth millions. As a result, it sold for an all-time record high in less than a week, even though it listed at the time of year when sales typically slow and we had already moved to another state. It was a tall order and a challenge that Sari and her ace team had no trouble standing up to. Sari was there on the front lines, ensuring the process of selling our home was as painless as possible. We feel blessed to have had the opportunity to work with such a superstar and highly recommend her. Sold a Single Family home in 2018 for approximately $575K in Temecula, CA. This was the 3rd time I've worked with Sari and her team and it was another fantastic experience. She is no doubt a subject matter expert when it comes to all things real estate and makes the listing and selling process as smooth as possible. She pays great attention to detail and leaves no stone unturned throughout the process. Sari is a great communicator and listener and ensures everyone is aligned throughout the listing and selling process. She is a great negotiator and takes a very fact based, realistic approach to developing a pricing strategy. We have sold 2 homes with Sari and both of them sold within a week of being listed because of this approach. I love working with her and team and would work with them again in a heartbeat. Sari was amazing through the entire process. She helped guide me through everything. She started by meeting with me to go through in detail what the comps sourrounding my house looked like so we could collaborate on the best price. She then coached me on prepping the house for the best ways to show for open houses. She kept me in the loop throughout the processes and we were able to have a smooth close. Sold a home in 2018 in Newell, Tulelake, CA. We had our house on the market for 6 months with nothing happening!! It was AWFUL! Then we hired Sari. What breath of fresh air. She is smart, full of ideas, and determined. Just what we needed. Thank goodness our house sold in no time. We live out of town and needed someone who would take care of everything and she did. Don’t make the same mistake we did. Hire Sari First and sell your house for the right price and in a timely fashion. Sari is extremely responsive and professional. She helped us with finding local resources for our house remodel and we really appreciate her help! Thank you Sari! Bought a Single Family home in 2018 for approximately $1.075M in Laguna Niguel, CA. Sari Ward is professional and respectful. She sold our beacon hill condo for us and helped us buy our dream home up the road. She always made herself available when I needed her and made me feel comfortable in all situations. She is highly educated and extremely knowledgeable in all aspects of life. You will love Sari and will want to work with her. She is a gem. Bought and sold a Single Family home in 2018 for approximately $900K in Laguna Niguel, CA. Sari was the all around expert we needed to make our home sale and purchase happen! She is so knowledgeable in every facet. She knows the answers to your questions from experience, not in theory. Our house was priced right and sold in under a week. Expert communication negotiating got us into our new home. We can't thank you enough Sari! Sold a Single Family home in 2018 for approximately $1.625M in Laguna Niguel, CA. As the Trustee of my mother's estate, it was my responsibility to sell her home. I was referred to Sari by a good friend and business associate of mine ( both of us live about 2 hours northwest of where the house sold). Sari was very effective in interacting with me and my siblings to help us navigate the sale of the home shortly after the death of my mother. It has been an emotional time, and being a Trustee can be very challenging. Sari knew that this sale was not your typical home sale, and that emotions and disagreements would come up periodically. However, she handled everything very effectively. She was knowledgeable, personable, professional, and very skilled at handling negotiations ( particularly among family members). She was always positive and enthusiastic throughout the sales process. I don't know how I could have completed this transaction without her expertise. I would recommend her without hesitation. Bought a Single Family home in 2018 for approximately $575K in Laguna Niguel, CA. Sari was an absolute dream to work with! She jumped through hoops for us and helped us find the home of our dreams! Being first time home owners, the process can be quite overwhelming; Sari and her team helped ease that stress and provided us with the support and knowledge to get through the process and come out as happy as we could possibly be! Words can not describe how grateful my family and I are for Sari and her team. Being a first time buyer I was so terrified for the entire process. However, Sari and her team made everything relaxing, enjoyable, and smooth as can be. She instructed us on everything from beginning to end helping to build our knowledge and understanding on the market and home ownership. Sari and her team we able to assist us with getting the home of our dreams in the best area in Southern Orange County. Thank you Sari and your team for making our dreams come true! Sold a Single Family home in 2017 for approximately $450K in Aliso Viejo, CA. Sari sold our home in Aliso Viejo and was an absolute pleasure to work with. From day one she handled everything with the utmost professionalism and grace. She delivered on everything that she promised from the beginning with regard to marketing our home, having open houses and negotiating the highest price. Her knowledge of contracts and laws were impressive and proved extremely helpful to us throughout the process. She reviewed each open house results with us in detail and kept us fully aware in real time of any offers or feedback on our home. We were relocating and purchasing in another state which made our purchase contingent on selling our home. This was a very complicated and emotional situation, and it was because of Sari's tenacity, relentless attention to detail and experience that we able to secure the right buyers and still close within the expected time frame. Time was absolutely of the essence and Sari navigated this the transaction seamlessly. Sold a Single Family home in 2018 for approximately $775K in Laguna Niguel, CA. Sari is amazing! I cannot say enough about her. She is professional, smart, kind and truly knows her stuff! She has sold many homes in our area and she came highly recommended to us. You won't be disappointed. Thank you Sari for making our experience so great! Bought and sold a Single Family home in 2017 in San Juan Capistrano, CA. Sari is our #1 go to realtor! She’s amazing, professional, honest, helpful, kind, & gets the job done! She’s helped us buy/sell a home in Laguna Niguel & a rental in San Juan Capistrano & Mission Viejo. She gave us great advice on getting our home ready to sell with staging. We had multiple offers & in escrow within the first weekend on market. We would highly recommend Sari for any of your real estate needs. Sold a Single Family home in 2017 for approximately $375K in Murrieta, CA. Sari is the most professional, efficient, and kind realtor I have ever worked with. I plan to hopefully work with her on all future home buying/selling endeavors. Sold a Single Family home in 2017 for approximately $1.0M in Laguna Niguel, CA. We worked with Sari on the sale of our home in Laguna Niguel. Because of Sari's talent, we obtained top dollar--significantly above ask price--in the first weekend on the market! Sari is an expert on the Laguna Niguel market. She was able to recommend the right pricing and timing such to generate multiple offers. She advised us on staging and preparing the home for sale--and which details matter and which don't. We were very happy with Sari and her skill in selling our home! We highly recommend Sari! Sold a Single Family home in 2017 in Rancho Santa Margarita, CA. Sari and team advised on property improvements for maximum impact, kept in touch throughout the sales process and sold my property for over the asking price with a quick close. It doesn't get better than this. Sold a Single Family home in 2017 for approximately $1.25M in Laguna Niguel, CA. Sari Ward did a great job selling our house. It sold in under 30 days and for a good price considering the condition of the house. Escrow and sale went very smoothly. Sold a Single Family home in 2017 for approximately $1.2M in Dana Point, CA. Sari was the selling agent on my father's condo in Laguna Niguel. I was very impressed at that time with her professionalism and the fact that she came from a business background. I knew that when it came time to sell our home in Capo Beach, I would be contacting her which I did this February. While we did our due diligence and interviewed several other realtors, she was hands down the best. She is very well versed in local market conditions and pricing, in addition to having a solid marketing plan to generate qualified leads. From the staging to the promotional materials/listing to the team she works with--all top notch! We had several offers on our home and Sari provided guidance and ultimately we ended selling at a price we were very pleased with. When some issues arose on the buyer's side during escrow, she was instrumental in dealing with them and ensuring that everything turned out smoothly for all parties. I would (and will) recommend Sari at every opportunity. Bought and sold a Single Family home in 2017 for approximately $1.175M in San Juan Capistrano, CA. We had the distinct pleasure of working with Sari on both the sale of our home in Laguna Niguel and the purchase of our new home in San Juan Capistrano. Sari is the consummate professional on all fronts and was a joy to work with. Her expertise, especially on the sale side in Laguna Niguel, was greatly appreciated. Sari has a great partnership with a staging company and we employed them to prep our home for the sale. Our home sold in a week! On the buy side, Sari was outstanding as well. She always prioritized our best interests and was patient with us as we navigated the waters of the South Orange County market. We had to cancel one contract to purchase before we ultimately found the right house. There was no debate when we cancelled as she appreciated and completely understand our decision making process. Sari pays great attention to detail and does an excellent job negotiating and positioning on your behalf. I would recommend Sari Ward in a heartbeat to anyone looking to buy or sell in South Orange County. You will not be disappointed and will ultimately write a great review like I just did! Sold a Single Family home in 2017 for approximately $1.425M in Laguna Niguel, CA. Sari recently sold our house in Laguna Niguel. She was very educated about pricing based on local comparables, variables based on our location and general market conditions. She was helpful with staging and made sure that the property photos were of the highest quality. She also included a video tour that was more than a PowerPoint of the photos that had been taken. Throughout the process Sari was supportive and responsive and gave great advice on what became a multiple offer situation. She worked throughout the closing process to ensure that everything stayed on track and ran as smoothly as possible. We would not hesitate to recommend Sari as your realtor. Sold a Single Family home in 2017 for approximately $775K in Laguna Niguel, CA. Sari it truly top notch! Totally professional, with amazing business sense (marketing, timing, pricing). She sold our house in 2 weeks! Communication was also on point...Sari is very easy to communicate with- responsive, and clear. Respected by her colleagues, we were proud to say we were working with Sari while touring open houses. It was a pleasure to work with her!! Highly recommend her and would use her and her team again in a heart beat! Sold a Single Family home in 2017 for approximately $1.1M in Laguna Niguel, CA. Sari was amazing in all her services for our family.I would recommend her to anyone wanting your property sold.Great person to work with.Her professional work with both us and buyer were top notch.You won't get anyone else with an amazing attitude. Bought a Single Family home in 2017 for approximately $1.425M in Laguna Niguel, CA. Sari helped my wife and I purchase a dream home in a very competitive process. She had an excellent understanding of what the seller wanted in a transaction and was able to help position our offer in the most favorable light, even against two all cash buyers. Sari and her associate broker Mardell are an incredibly effective team and they are also terrific people to work with. Sold a Condo home in 2017 for approximately $450K in Laguna Niguel, CA. Sari Ward and her amazing team sold my home in one day! It broke records for how much we got for that size condo in that neighborhood ! I am thrilled!!! They are the best ?? Sold a Townhouse home in 2016 for approximately $550K in Laguna Niguel, CA. Sari Ward is highly professional and knows her business well. More than that though -- and what gives her a "cut above" other realtors I have known -- she is friendly, personable, understands your personal situation, and goes those extra miles to help you out. Need a painter to touch up a small wall, or a guy to clear the clutter out of the garage, or maids to clean the house after move-out? Sari's got them all on call, and sends them to you. I was able to move out of my house two months before the sale, and leave it in her friendly, capable hands. You won't find a finer realtor than Sari! Found a tenant for a home in Mission Viejo, CA 92692. Sari was very professional, knowledgeable & easily available. She immediately had the property professionally photographed & subsequently listed. I was emailed ever time the property was shown. She rented my property in 2 weeks! I would definitely hire her again! Sold a Single Family home in 2016 for approximately $650K in Laguna Niguel, CA. I noticed a lot of Sari WARD 'For Sale' signs in and around my surrounding neighborhood. I attended several of her Open House showings, mostly to get ideas on how to sell my home when ready. Each time, I was greeted and made to feel welcome. When the time came to place my home on the market, I did not hesitate to 'interview' Sari for the job. I felt if she could sell others' homes in the area in a short time, she could sell mine as well. With her guidance; patience; expertise; attention to detail; professionalism and team, she was able to sell my house [from beginning to end] in just over 3 months. The fact that my house was the smallest in the neighborhood kept it from being sold sooner. I would HIGHLY RECOMMEND Sari Ward and her team to sell a home. You will find it a GREAT experience. Sold a Condo home in 2016 for approximately $350K in Laguna Niguel, CA. Sari is a real Pro! Loved working with her. She helped me sell my condo in Beacon Hill and was very knowledgeable and attentive. From the listing date to the close of escrow - Only took 2 months! She's a hard worker and knows the area so well. Highly recommend her especially if you are in the Beacon Hill area. I've already recommended her to several of my neighbors and will continue...she's one of the best! Sold a Single Family home in 2016 for approximately $850K in Laguna Niguel, CA. We worked with Sari when buying our first home in Laguna Niguel in 2011 and could not have been happier with the experience. When it was time to sell and buy a new home in San Clemente this year, we didn't hesitate to reach out to her again. Sari and her team are the absolute best. Professional, attentive, knowledgeable, and they deliver. We highly highly recommend Sari! Sold a Single Family home in 2016 for approximately $875K in Laguna Niguel, CA. Sari – thanks to you and Mardell!!! I sincerely enjoyed working with you both – keeping me grounded when necessary – giving me your advice and direction and unemotionally attached guidance. You are extremely knowledgeable about the area which gave me an honest perspective on my property. And Mardell was so immediately responsive to questions and document signing – I felt like your only client at the time. If I ever have a chance to come back to SO CA – you will be the first person I contact. Of course it might take a lottery win to get me there – but I can dream!!! You both made the home selling experience while living 2500 miles away an extremely easy process. Thanks you sincerely - I am so fortunate to have chosen your team!!! Sold a Condo home in 2016 for approximately $650K in Laguna Niguel, CA. Sari Ward was a trusted advisor to me in every aspect of my condo project. From remodeling, finding contractors, pricing strategies, staging, financing, marketing, and selling my property, Sari was the professional that got the deal done and kept me sane through the process. I highly reccomend Sari and offer one point of advice. Listen to everything she suggests, you won't go wrong! Sold a Condo home in 2016 for approximately $425K in Laguna Niguel, CA. Sari is extremely knowledgable with the S. Orange County real estate market. Sari and her team were delightful to work with and stayed on top of proactively communicating with me at all times. I highly recommend Sari for your real estate needs. Found a tenant for a Townhouse home in Laguna Niguel, CA. Bought a Condo home in 2016 for approximately $675K in Dana Point, CA. Sari was a referral and I can't thank the person who referred her enough. Sari was everything promised and more. She was very responsive and attentive through the whole process. She was our guiding light while we were maneuvering through all of the steps. It has been almost 20 years since we bought our last home and with Sari leading the charge we would do it again tomorrow and maybe we will. We maybe not tomorrow but we certainly won't hesitate to go through the process again... If you are looking for someone with all of the required knowledge and insight to buy or sell a home and a great "bedside manner" then stop looking and reach out to Sari, because you cannot be in better hands! Sari was great to work with. She is quite knowledgeable about the market and was instrumental in pricing the house just right. I had an offer in a few short weeks. I look forward to working with Sari in the future. Sari was very helpful in all areas of our transactions. We bought and sold at the same time and her knowledge, patience and attention to detail were incredible. She promptly answered our questions and concerns and we would definitely recommend her to anyone looking for a Realtor! Bought and sold a Single Family home in 2016 for approximately $1.3M in Laguna Niguel, CA. Sari is hard working, knowledgeable, honest and a tough negotiator. She navigated us through 2 complicated transactions and kept us up to date step by step on everything that was happening. Her expertise navigated us through many complicated situations and decisions. We would recommend Sari to all of our friends and family and anyone who is looking for a realtor to go through this major life decision with!! Bought a Condo home in 2016 for approximately $600K in Laguna Niguel, CA. Sari Ward was recommended by my fiance's coworker. We first met and she gave detailed information that made us feel more comfortable venturing out into the market as first time home buyers. We told her the area we were interested in living, and within two weeks she was able to find us a home. This home was not even on the market. It was found by word of mouth! We got VERY lucky to have met Sari because we would not have been able to find such an amazing home in Laguna Niguel, at such a great price, without her. As first time buyers, she answered all of our questions and guided us through the process. She made a potentially stressful situation, feel relaxed and calm. She has an amazing assistant, Mardell Gully, that helped as well. Overall, Sari Ward made our home buying experience excellent and I would highly recommend using her in the near future. Sold a Single Family home in 2015 in Laguna Niguel, CA. Sari has represented us with two purchases and two sales in Laguna Niguel over the past four years. She's a hard worker, fantastic marketer and knows her stuff. I highly recommend reaching out to her if you're considering buying or selling in Orange County. Sold a Single Family home in 2015 in San Clemente, CA. World's Greatest Realtor! Sari is a true professional who takes great care of her clients to ensure the optimal outcome is reached. She has meticulous attention to detail and has the market insight as well as the track record to make proactive recommendations and guidance along the way. Sari has the talent to assess the space and decide what needs to be done to create a strong first impression. She's fun to work with and is very upbeat. Sari really inspired confidence during the entire process. Sold a Townhouse home in 2015 for approximately $300K in Laguna Niguel, CA. Sari did a tremendous job listing my mother's home and getting over the asking price. I would recommend her without hesitation. She is very knowledgable and a delight to work with. 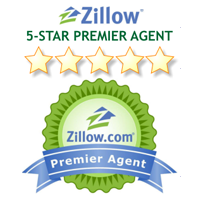 Helped me rent a Single Family home in Laguna Niguel, CA. Sari is a stellar agent. She is wonderful about working with challenging schedules and shows many, many homes patiently. Her upbeat, positive energy is unbeatable. Sari is patient and a great consultant in every aspect. She has many connections and has a keen awareness of the marketplace. She very knowledgeable about the area and knows many areas of Orange County well. We ended up with everything we wanted! Sold a home in 2015 in Turtle Rock, Irvine, CA 92603. Working with Sari and her team was an absolute joy! From beginning to end she guided us through the process with ease and was a total expert in marketing our property. We are so grateful to have had her as our agent and to have gained her as a friend. I work in a field where I have daily contact with a high percentage of the top Realtors in Orange County. I know over 100 people who are capable of selling my home due to my line of work, and I chose Sari Ward to sell my house. I picked her for three reasons. #1 She is the best as presenting the house in it's best light to the home buying public (staging, photos, mailer, ads, etc.). #2 She has a fantastic team to help handle the details of the transaction (she works with the best service providers, escrows, etc.). #3 She is a master at managing the timeline to ensure maximum compliance by the buyer. We were beyond satisfied with the service that we received, and we wholeheartedly recommend Sari to our dearest friends.